This consisted of mounting a temporary installation inside an apartment shared by students of architecture. 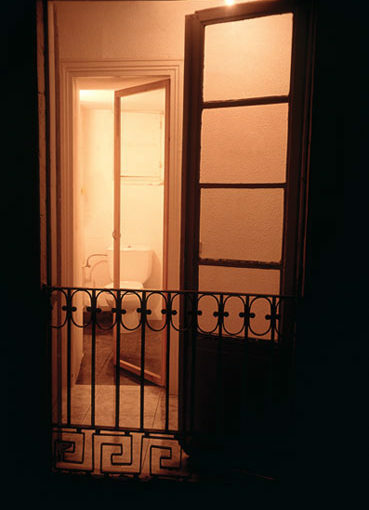 For a month several artists intervened in different areas of the flat interfering with the day to day life of the three residents. The general public were invited to visit the interventions. 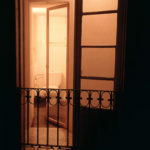 The Glass Door project consisted of an ironical game using the limits of transparency in modern architecture, by substituting a wooden bathroom door for a transparent one. The most private of all places became public, seen by everyone. Transparency suddenly became exhibitionism.